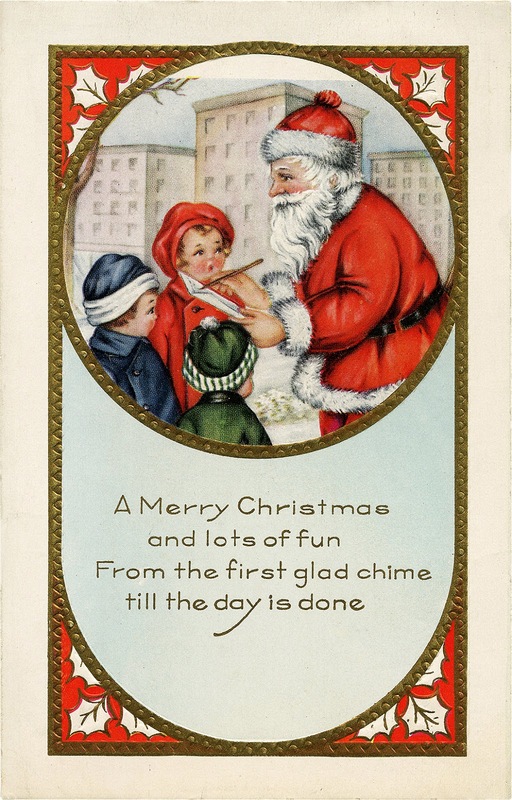 And speaking of Santa Claus, a happy St. Nicholas Day! December 6th is the name day or birthday of the saint said to be the source of our Saint Nick, Santa Claus and Father Christmas, and is celebrated in much of the Western world. Nicholas was born in the 3rd century in the city of Myra..now in Turkey. 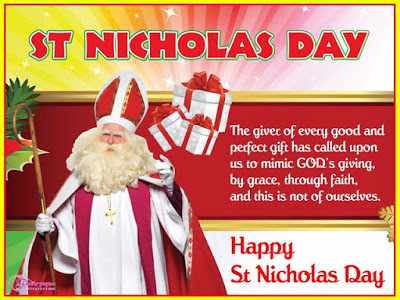 Nicholas, who became a bishop, spent his life giving away his inherited wealth to help those in need... and the gift giving tradition continues today...although Saint Nicholas gave year round, not just at Christmas...good idea, huh??? Wishing you a lovely day celebrating the gifts of the season! I had forgotten today was St. Nicholas Day. Thanks for the reminder.